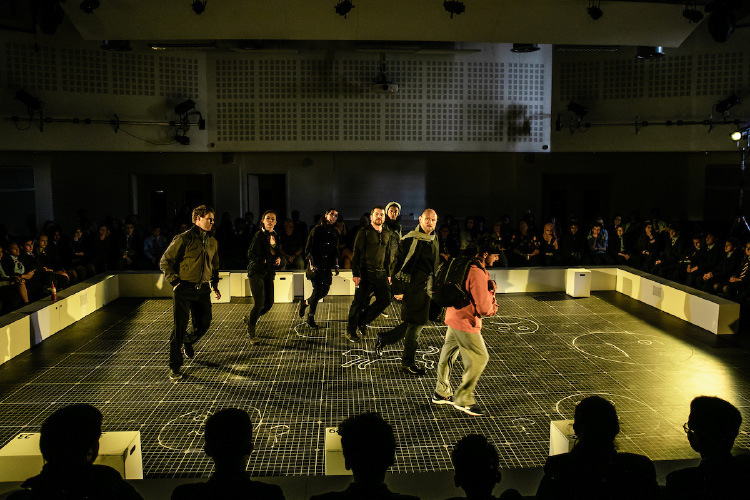 Susan Elkin visited a school in north London to see the National Theatre’s abridged version of The Curious Incident, touring schools nationwide, aiming to bring high quality theatre into schools to enrich teaching and learning. The Curious Incident of the Dog in the Night-Time is one of the National Theatre’s most successful shows of recent years. A fine, sensitive, entertaining study of high level autism (although the show never uses that label) and family break up, directed by Marianne Elliott, it wowed audiences at the National Theatre in 2102, did very well in the West End and then toured nationally. Now an equally excellent 90-minute version is touring 60 schools in six areas nationwide so that a new generation meet Christopher Boone and reflect on his problems. Mark Haddon’s novel, adapted by Simon Stephens, has become a theatrical evergreen. The schools’ version of Curious Incident uses a strong ensemble cast of eight and there’s a lot of accomplished doubling and physical theatre to connote things like a cash machine or a train. I saw it with a very excited and excitable Year 8 audience at Aylward Academy in Tottenham at an afternoon performance. Drama students had seen it the morning. The school has a large theatre in a separate building, configured in the round for this show, so there were none of the usual school hall problems. And the National Theatre ensures high level production values for this tour with a floor space like graph paper to connote Christopher’s mathematical talent and props in boxes around the perimeter. Of course, it isn’t illuminated as in the original show but everyone is seated so close that it really doesn’t matter. The now well-known story is that a neighbour’s dog has been killed and Christopher, Sherlock Holmes-like, sets out to solve the murder mystery. Along the way he discovers devastating things about his own family. Part of the aim of the Curious Incident project is to help schools to establish ongoing relationships and connections with regional theatres in their area and they are working in what Paula calls “six areas of disengagement”. “For example,” she explains, “When we go to Wakefield someone from the Theatre Royal will attend and participate in the schools performances. 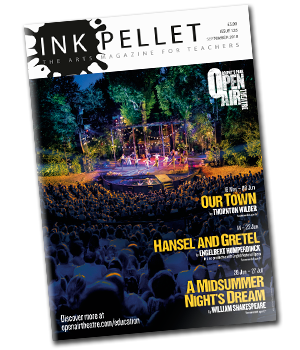 Afterwards they will offer previews for teachers and other opportunities to get involved”. The National Theatre is well aware that in some schools Drama and English teachers are pushing uphill to convince senior managers of the importance and transformational potential of theatre. “Enlightened headteachers understand of course” says Paula, adding ruefully that nevertheless there are some who do not. Not that this show is any sort of tragedy. It’s very funny. Christopher’s autistic eccentricities are often tenderly hilarious and of course, as I observed at Aylward Academy, a young audience will whoop in delight if an adult on stage uses the sort of language, they continuously speak in themselves in the playground. firmly, adding that there are hopes for another tour.